On day 2, discard all but 100g of the starter from Day 1 and mix the remainder with the refresh ingredients, cover and let rest. Repeat daily, discarding all but 100g of the preceding day starter. 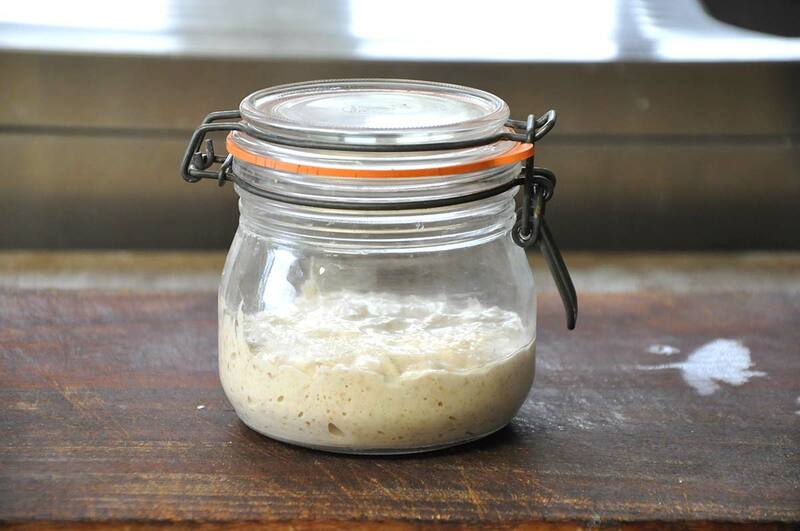 Keep the starter stored in a warm room. Make sure to follow this process daily for a week. After a few days it should become active and start bubbling. It should also start to taste and smell sour. The activity will increase as the days go on. If the starter begins to show mould or smells bad, then throw away and start again. After a week the starter will be ready to use or to be stored in the fridge (in an airtight container).